Below are brief descriptions of the choirs offered at SHS and SMS. Mixed Choir is an auditioned ensemble for males and females that performs various accompanied and unaccompanied literature. Mixed Choir performs at all regular SHS concerts. Treble Choir is an entry-level women's ensemble where students have the opportunity to sing a variety of literature through vocal exploration and development. Treble Choir performs at all regular SHS concerts. This ensemble is a non-auditioned group for high school men to explore singing a variety of literature. Men's Choir meets Wednesday afternoons from 3-4 and performs at regular SHS concerts. The SHS Madrigal Singers is an elite auditioned group that specializes in singing a cappella renaissance chamber music. Madrigals meets outside of the school day for rehearsal 2-3 times a week before winter break and performs at several concerts and extracurricular gigs. Current singers click here for additional content and resources. 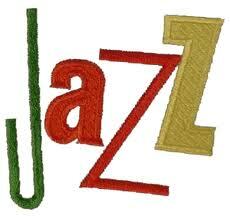 Jazz Choir is an elite auditioned group that specializes in singing contemporary pieces in a variety of settings. This ensemble meets outside of the school day after winter break and performs at the Jazz Concert in May. This is a graded ensemble for SMS 6th graders interested in exploring singing as part of a choir. 6th Grade Choir performs at 4 concerts throughout the school year (one per quarter). 7th and 8th Grade Choir is a graded ensemble in which young men and women can continue to develop as growing musicians through singing. 7/8 Choir performs at 4 concerts throughout the year. Honors Chorale is an auditioned ensemble for 7th and 8th grade singers. HC rehearses outside of the school day 2 times a week and performs at regular 7/8 concerts. The Illinois Music Educators Association selects it's top musicians annually (through audition) to perform as part of an elite ensemble at the District and State levels. Auditions are in October, with the festival following in November. All-State is in late January and is a 4-day event. For more information on ILMEA, please visit their website. To see the list of the 2013 IMEA District 8 literature, click here. I-8 is a nomination-based group made up of choir students involved in the Interstate-8 Conference. Dedicated 9th-12th graders are eligible to participate in this festival.